Material: 100% pure and natural sheep wool, spun on a distaff. Colors: Black and Natural White. Size: 5 x 7 feet. FREE SHIPPING to the Americas and Europe for this item. Density (approx. ): 1,4 Kg x sqm. 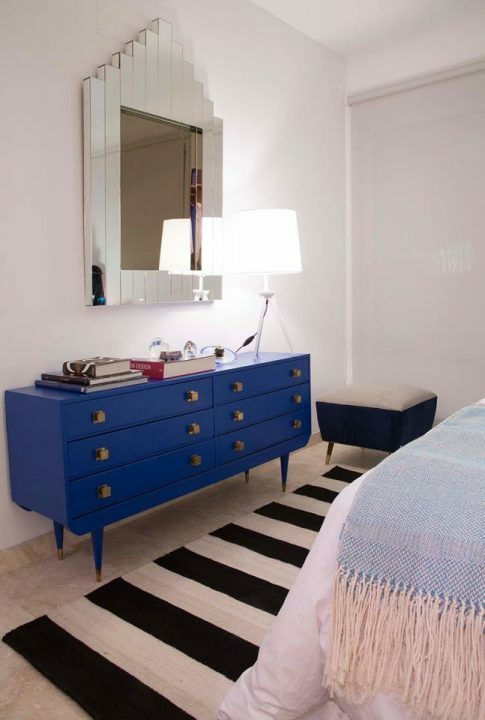 The Look: Harmonious colors, sophisticated and elegant, urban and contemporary. The Feel: Soft, durable, and dense, beckoning you to go barefoot, get up close, and feel the texture against your skin. Use purpose: Residential / Indoor. Loom technique: Weft-faced, flat-woven weave. Underlay: Always use a non-slip pad under handmade rugs. The non-slip pad is a mesh mat that is laid on the floor and simply placed underneath the rug without the need to stick it or sew it. 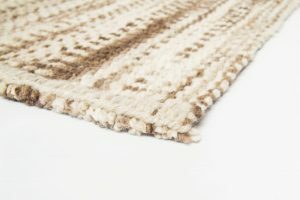 Care & Cleaning: For ages, pure wool rugs have been companions to humankind, not only for their beauty, but also because they protect us from the cold and the heat, reduce the noise around us, and are easy to maintain. With your purchase you will receive a very complete Care & Cleaning Guide to ensure the long life of your rug. Since our products are fully handmade, color, design pattern and size may slightly vary from rug to rug. In all cases, they are thoroughly checked and only delivered to customers if our strict quality standards are met. 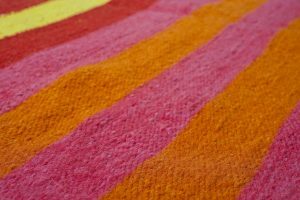 Why choosing one of our rugs? QUALITY OF LIFE. Go barefoot, feel them up close against your skin and experience their softness. Pure wool adds warmth, tranquility and harmony to any project due to its superb acoustic and thermal insulation capabilities. In addition to its beauty, design, texture and color, a natural wool rug can offer so much more to any space. PURE WOOL. With guidance from expert technicians from the INTI (National Institute of Industrial Technology), we have achieved a strong and durable wool that remains soft and plush, which allows us to create elegant, long-lasting, sophisticated and easy-to-clean rugs. 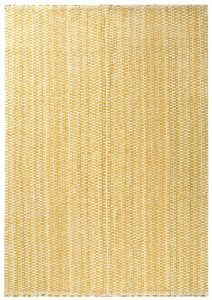 We refrain from using polypropylene plastic, so our rugs are ecofriendly and fire resistant. 100% HANDMADE. We weave the wool using a loom or a distaff, and natural pigments or lead-free tints with UV filters are used for dyeing. We can make any design in the size, colors and dimensions desired because our rugs are woven entirely by hand, without the use of machines. The production process takes just a few weeks, and the end result is a piece of exceptional quality. WE BELIEVE IN PEOPLE. Since 2005, we work with over 135 weavers from 12 different provinces, adhering to Fair Trade practices (guarantees fair pay). In 2013, we forged a partnership with the NGO Sumampa/Adobe Association, and since 2017 our rugs have the Argentine Good Design Hallmark granted by the Ministry of Production of Argentina. WE ARE A CERTIFIED B™ CORPORATION. B Corporations™ are for-profit companies that meet the highest standards with regard to social and environmental performance, transparency and corporate responsibility, and harness the power of business to develop a more inclusive and sustainable economy. 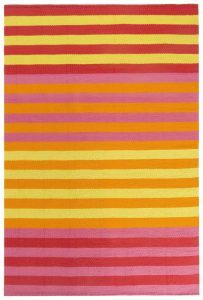 If you want to see other designs, or would like to try different color combinations for your rug, visit our Design your rug! section. Mon to Fri: 10.30 AM to 1.30 PM & 2.30 to 7.30 PM. Saturdays: 10.30 AM to 1.30 PM. Tue to Sat from: 11 AM to 7 PM. Hi! Welcome to elementosargentinos.com.ar website (hereinafter “Website”). Your use of this Website is governed by the following terms and conditions. User/s refers to Website visitors and customers who place their orders through our Website (hereinafter “User/s”).These Terms and Conditions apply to your access and use of the Website. Your use of our Web Site constitutes your agreement to follow these Terms and Conditions and to be bound by them: please make sure you have read, understood and accepted all our Terms and Conditions. Products and services offered on our Website (hereinafter “Products”) will only be available for people with full legal capacity to enter into contracts. Our Products cannot be bought by people lacking such legal capacity or underage. Any acts carried out by them through this Website shall be the responsibility of their parents, guardians, legal guardians or curators and shall be deemed as performed by them acting in an authorized capacity. Users must provide some personal information to buy our products on line.It is processed and kept in servers or magnetic media with high security standards and material and technological protection. Users accept that service-related information and technical processing may be transferred unencrypted in the following cases (a) intra network transference, and (b) adjustment changes to fit net or device connection technical requirements. 3. Select size and colors. 4. Agree to the Terms and Conditions. 5. Confirm your order by entering your credit card information. 6. Confirm your order by entering the data on your credit card. 1. Choose a Product / Rug for sale. 2. Add it to the cart. Your offer to purchase Elementos Argentinos´ products shall not be deemed to be accepted until we send you an email with the order confirmation. Sell is deemed completed when Elementos Argentinos successfully complete payment collection process. Elementos Argentinos will deliver its Products to Users to the address given by them. In the case of shipments in Argentina, Elementos Argentinos may choose to send the product to the customer’s address or to the land transport terminal nearest to the shipping address. About our Custom Made Products on the “Design your Rug!” section: as each of our products is unique and fully handmade, color, design pattern and size may slightly vary from rug to rug. However, our rugs are thoroughly checked and only delivered to customers if the strict quality standards that our company has been following for the last 10 years, are met. Different color display settings on computer monitors (laptops, PCs, cell phones, tablets, etc.) can have an effect on the appearance of colors, sizes and design patterns, for this reason we compared all our offered and available colors with the Pantone Textile PTX international guide. When selecting the color during the design process, the name of such color will appear next to it, along with its respective Pantone code. In order to know accurately the color you are about to choose for your rug, you can look for it by its code in the Pantone Textile PTX international guide. Pantone® is a color worldwide known authority; it provides color systems and state- of- the- art technology for the selection and proper communication of colors for different type of industries. 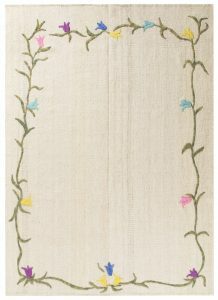 About our Rugs for Sale on the “Ready to Go” section: the pictures in this section correspond to the product that is offered, however, different color display settings on computer monitors (laptops, PCs, cell phones, tablets, etc.) may have an effect on the appearance of colors. Delivery time: Rugs in the “Ready to go” section have an estimated delivery time of 5 to 7 business days. Rugs in the “Design your rug!” section contemplate the following delivery times: Los Andes rugs take 3 to 4 weeks for woven and one additional week for delivery. 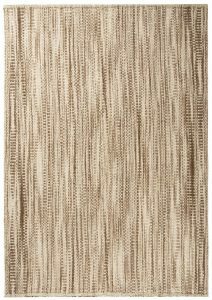 Del Monte rugs take 4 to 6 weeks for woven and one additional week for delivery. Shipping Charges: Amounts under “Shipping Charges” do not include custom taxes that shall be paid by User. Returns and Exchanges: As our products of “Design your rug!” section are specially customized for you, sales are final. However, over the 10 years that our company has been in the market, we have no records of clients who have not loved their customized rug. Information: Elementos Argentinos does every effort to accurately describe the offered Products. However, we cannot guarantee that descriptions or any other Website content are precise, complete and reliable, updated or free of mistakes. Prices of products may change without prior notice. Website Availability: users accept and acknowledge that our Website may not always be available due to technical defects, internet failures or due to any other reason outside our scope of our control and none of these facts will result in Elementos Argentinos´ liability. Elementos Argentinos shall not be responsible for any bug that may affect Users´ equipment as a result of accessing, using or browsing our Website or for any data, file, text or data transfer. Terms and Conditions: Elementos Argentinos may change Terms and Conditions at any time and publishing such changes on the Website. Order cancellation: Elementos Argentinos may, for any circumstance that may arise and after goods were bought by User, cancel the purchase due to lack of stock availability; lack of authorization to process the transaction by the credit card issuer or administrator or; due to any issue identified by the Office of Fraud Prevention. In any such event our Customer Department will contact Users to inform them the facts, and request additional information or make verifications prior to delivery, if needed. Website Changes: Elementos Argentinos reserves the right to change, limit or cancel the scope or the functions of the Website at any time. Although we do any effort to offer our service without technical problems, sometimes Website use may be partially or totally unavailable due to Website maintenance, development and/or other related activities. Under certain circumstances some data may be lost. Under no circumstances Elementos Argentinos shall be liable for Website service unavailability, technical problems or data loss. Intellectual Property: Elementos Argentinos owns all the intellectual property and other rights on this Website including rights on the service provision, published contents, images, videos and data bases (hereinafter “Protected Property”). Changes, reproductions, publications, third party´s data transfer and/or other use of Protected Property without the prior written consent of Elementos Argentinos is expressly forbidden. Jurisdiction: All the provisions in this agreement shall be governed by the Argentine Republic laws in force; such laws are available for reading at www.mecon.gov.ar. Any conflict arising from this agreement, its existence, validity, interpretation, scope or compliance shall be subject to the first circuit courts of Capital Federal.